Ever since I thought of the idea for this post, I have been dying to show you! 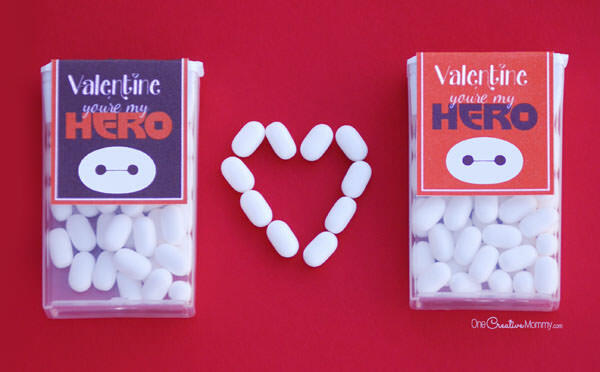 If you have any Big Hero 6 fans at your house, they are going to love these Valentines! I’m trying to hide them from my girls, but one of them peeked when I was taking pictures. She’s already claimed the black one. (Go figure. I thought they’d all want the pink!) Here they are: Big Hero 6 Valentines. What do you think? What’s your favorite part of the movie? I have to admit, I love the it when Hiro teaches Baymax to do a fist bump. In honor of that scene, you’ll see something special at the top of the tic tac wrapper. Just for fun, you can even add a face to a Tic Tac by writing on the outside of the package. Just be aware that once the box gets shaken, the face won’t line up anymore. Ready to download? Just click the download image below to be taken to my download page. The colors of the valentines are black and red, red and black, and pink and red. Have fun! I hope these are as big of a hit at your house as I hope they will be at mine! Thanks for stopping by today. 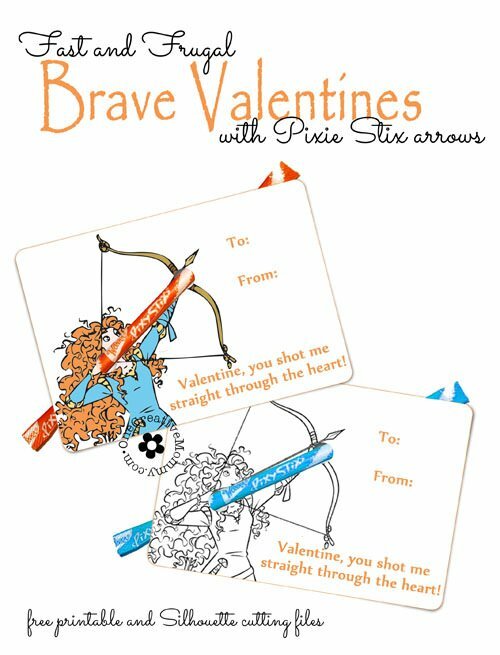 I have lots more Valentine ideas, so please stick around and browse! The images below are linked to posts. Just click on the image to go to the post. Thanks so much, Linda! I feel like I haven’t talked to you in forever! These are too cute! We’ve made the superhero ones before! I love how simple the tic tac ones are! Thanks so much, Krista. 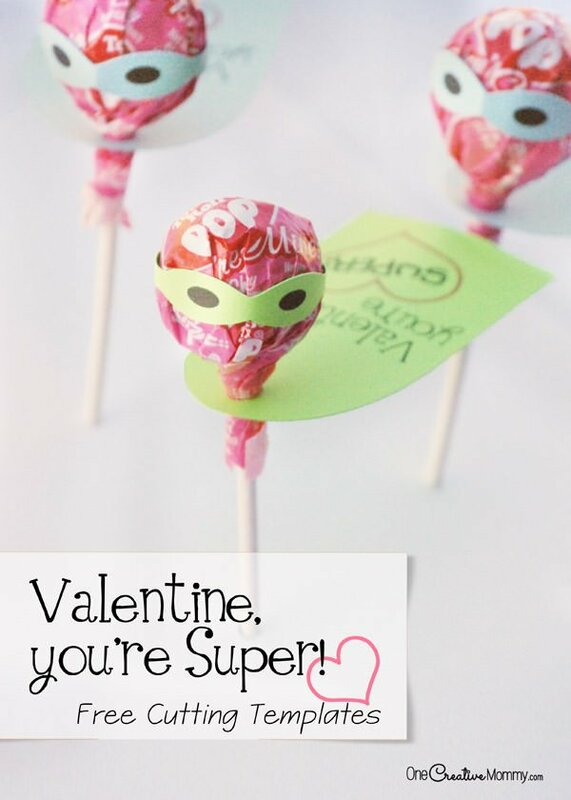 The superhero valentines are still one of my favorite projects. They just make me happy! I’m glad you tried them. I love so many of these ideas! 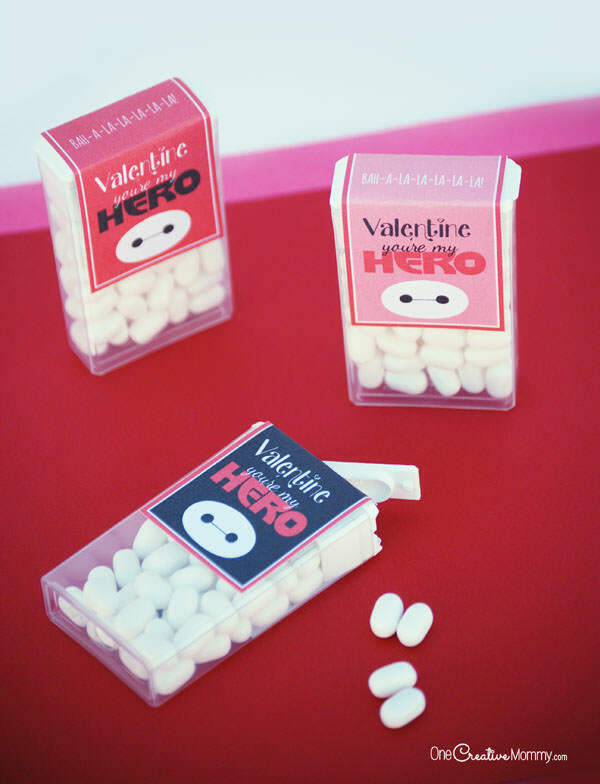 I admit I haven’t seen Big Hero but I think it’s a clever use of Tic Tacs :) I’m deciding between the superhero lollipop and the build-your-own-olaf for this year! Thanks, Nina. I honestly didn’t know what to expect with Big Hero 6. It’s nothing like Disney’s typical fairy tale story. It was actually really good. Definitely for the older kid crowd, though. It would be over the head of preschoolers. Good luck in your valentine decision. My kids loved both the olaf and the superhero. Have fun! 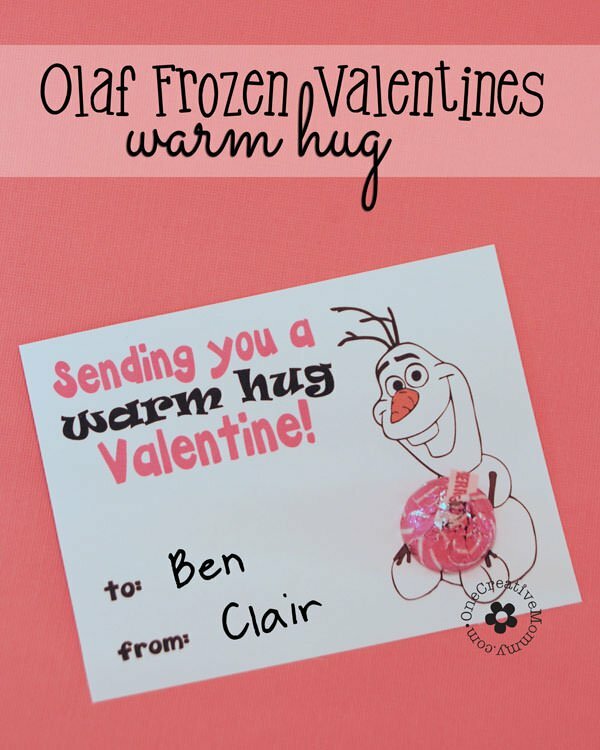 This valentine idea is genius! Thanks so much for sharing it along with the printable! You’re welcome, Marilyn. Thanks so much for stopping by to comment! These are great!! I’m planning a DIY valentine round-up post. Would you be willing to let me use one picture (credited to you) with a link over to this post? Of course, Lauren. Thanks for asking! One picture and a link back would be great. That was so thoughtful of you! Thank you. I’m afraid I don’t qualify, though. I have more than 200 followers. Thank you anyway, though! I LOVE these Valentines! All of them! I’m going to let my kids go through and pick what they’d like to do this year. Thanks for taking the work out of it for me!!! I had to share this on Facebook. So creative! Nailed it! Seriously so cute Heidi! Thanks so much, Celeste! 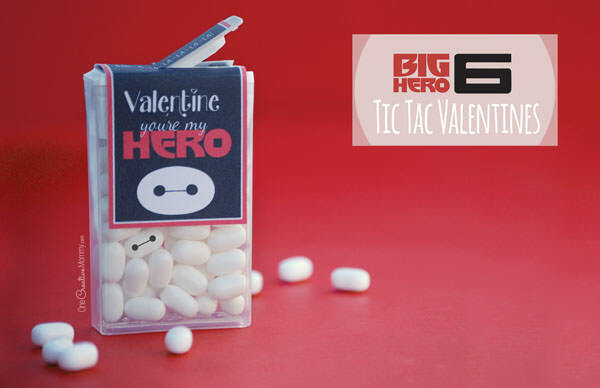 Tic tacs are perfect for Baymax’s head, don’t you think? I really liked your post and I mentioned u in my blog, because I made an entry with valentines ideas. Thanks, Maria. I visited your blog. Thanks for including my valentine. I Love the Big Max Tic Tacs. What type of glue should I use to glue on plastic. Hi, Blanca. Glad you like the Valentines. I used glued dots. They’re super sticky. I just used one in each corner and one on top. 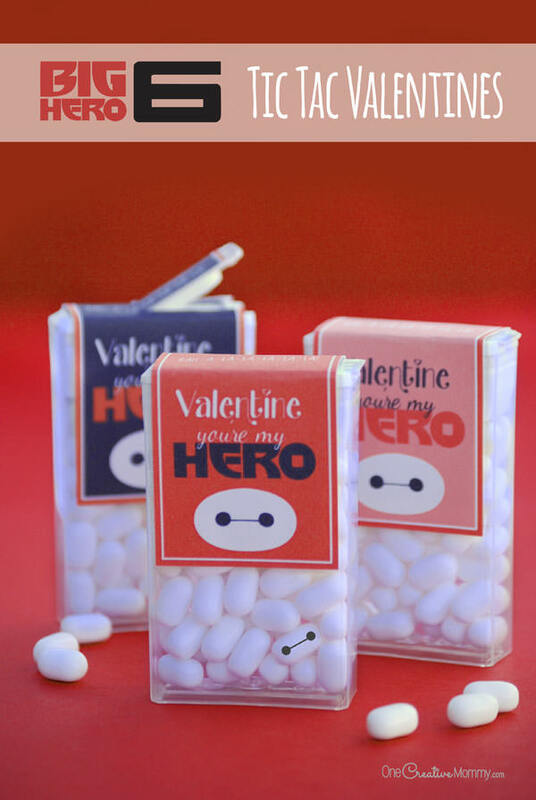 Love all of these but especially the Big Hero 6 valentines. My college-graduate aged children insisted that we watch this movie. We just saw it and liked it as much as they did, especially the fist bump. My days for making class valentines are looooong gone- enjoy them while you can!- but I will be making and sending these to my kids. Thanks! I loved the fist bump part of the movie, too! 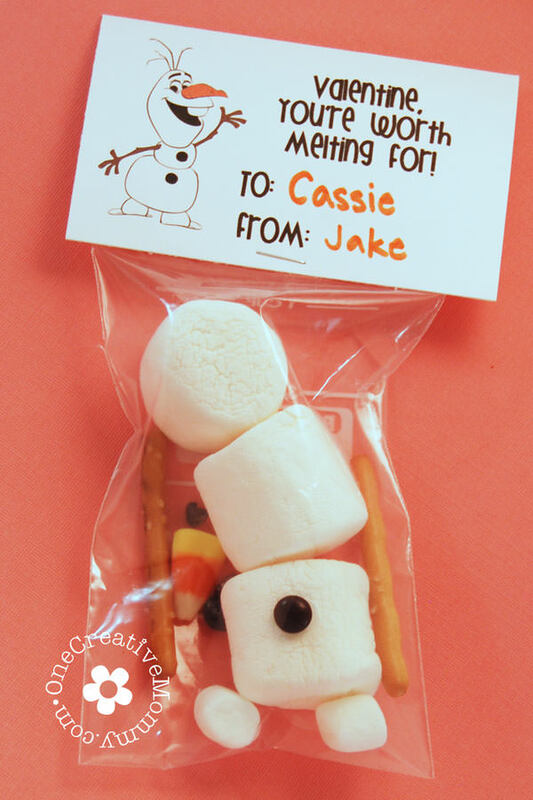 I hope your kids love these!